I finally had time for some nail art! It feels like forever since I've done nail art, which is kind of a problem lol. Actually, I did some nail art earlier in the week, but it didn't work out as planned. I took the photos and then realized that there was a hair on the nail and I had already put top coat on it! I was so devastated. Don't you just hate that? Enough of me rambling for now lol. 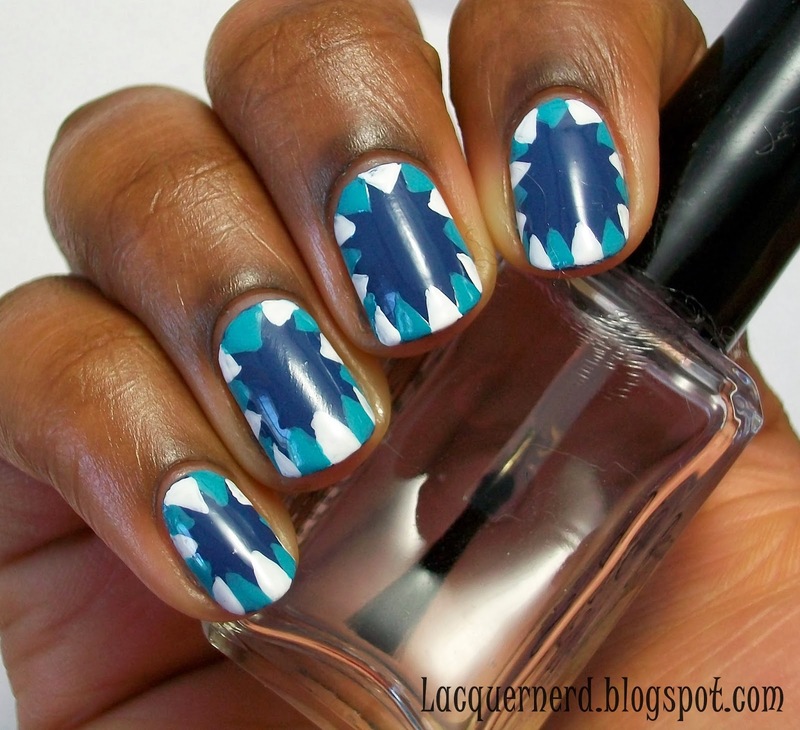 For this nail design, I created a border design using triangles. There's so many things that you can do with triangles in designs. 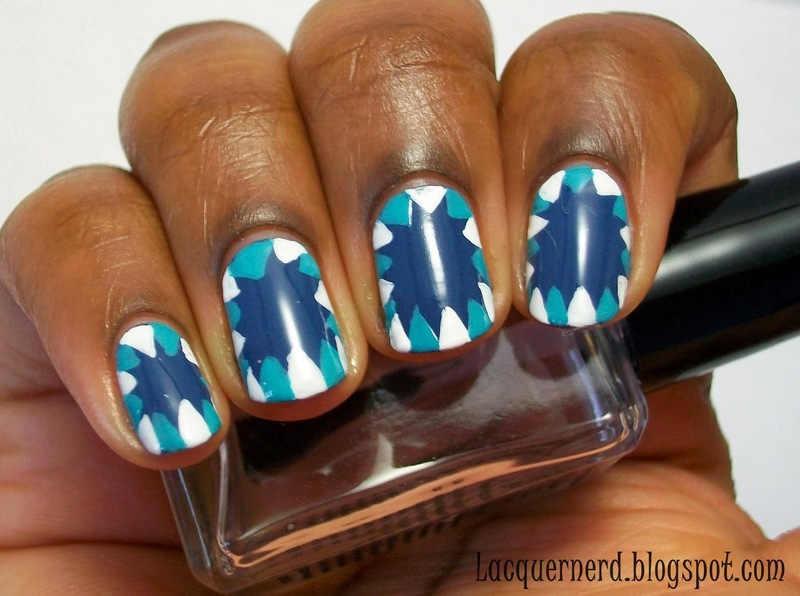 I've been sketching a lot of triangle nail art for some reason. Let's get to the design! For this design, I painted two coats of Sinful Colors Rainstorm as the base color. With a detail brush, I alternated between Sinful Colors Snow Me White and Sinful Colors Sweet Nothing and created triangles around the nail. Finally, I sealed my design with a top coat. I love how this design came out. It's a bold design, but it's also simple. I really like how it made a nice burst shape in the middle. I was contemplating on putting something in the middle, but I decided against it. I think if I added anything else, it would be way too busy. I like the balance in this design. What do you think of this design? 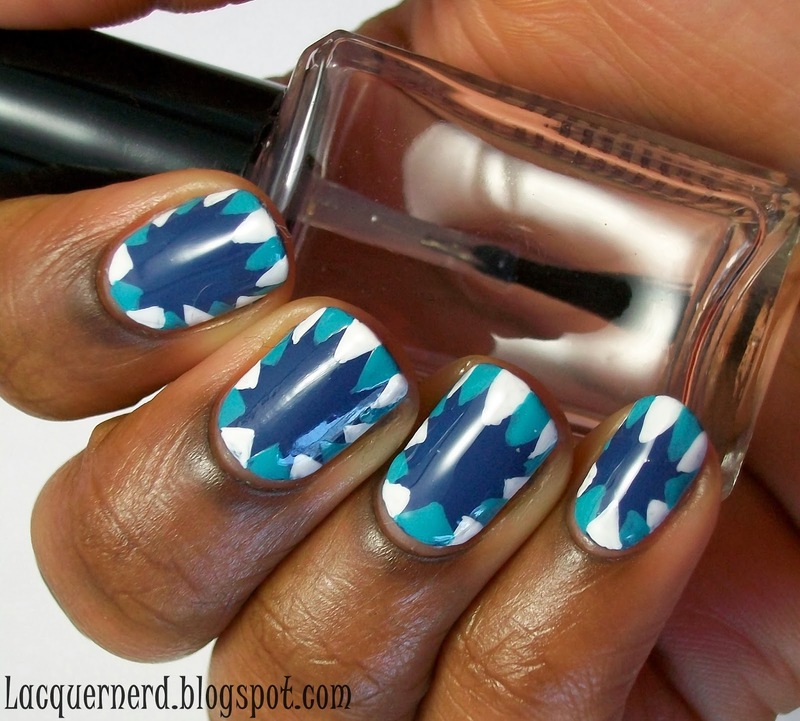 What's your favorite nail art to do? Done that loads of times also when my hair goes right across it smudging it argh lol. This design is awesome, not seen a design like this before. I know, it's so frustrating! And thank you! this is too cute, at first the design where Jaws teeth lol. Awesome! Thanks and you're welcome. I thought I was following you, but I wasn't. I love your nail art as well! 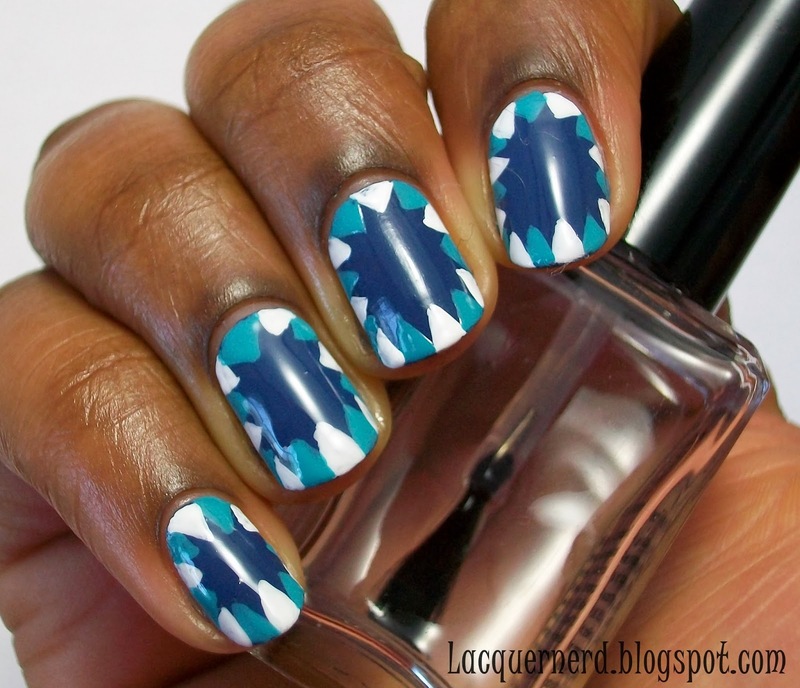 The dark blue colour looks so pretty on your nails!